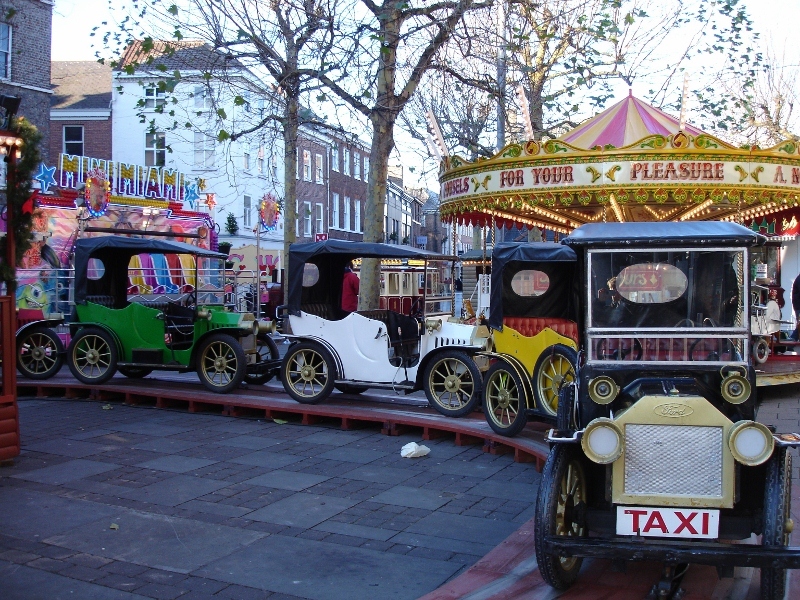 These old Ford cars are part of the Christmas fair rides for children that are in place in Parliament Street at present. I expect installing two steering wheels per car saves a lot of arguments! Still a few leaves left on the trees! Yes we have had a very mild winter so far. Warmest Christmas on record for many years I think.